In these situations, you may be tempted to take the do-it-yourself approach and replace your entire sink with little hesitation. Doing so can cause countless other issues if you do so inappropriately. Rather than risking the health of your residential or commercial plumbing, calling the professionals at Action Jackson can be highly beneficial. We have the right tools, experience, and know-how to install new fixtures, as well as fix the ones already existing in your home. Action Jackson Plumbing is ready to help you with any and all of your plumbing needs. 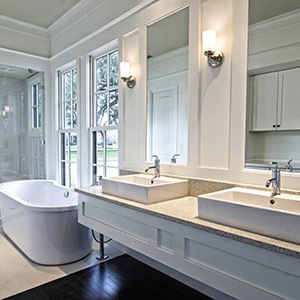 As Seattle’s best plumbing service, we pride ourselves on our efficient and quality efforts. Don’t wait to take care of any plumbing issue any longer, give us a call and set up an appointment today!